If you thought that the optimum basic design of the guitar had already been discovered, prepare to think again. Taras Kovaliv isn't your regular guitar builder. In fact, as you'll see nothing about Taras is what you would call 'regular.' 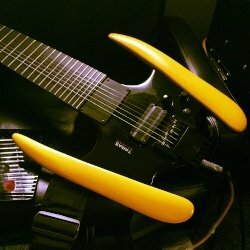 He's unique, and has a wonderfully imaginative take on the future of guitar design. Rather than try to explain Taras' vision, we thought it best to let him do that himself. So here, in his own words are Taras' answers to the questions we put to him. GH : How and why did you start building guitars? TK : Well... very simply, I'm following my intuition - an inner voice - a vision. Without in any way intending to sound arrogant, I can see the evolutionary path of the guitar very clearly. I have a very good idea of its future development - and it's all very exciting! A lot of ideas have been formulating in my head over the years and now I'm on a full-blown mission to bring a new type of guitar to the hands of forward-thinking guitarists, who I'm sure will grow to share the same vision. As strange as this may at first sound, I'd like to show people that there is a 'new' way to dance on the strings – a new way to play the guitar. I have no formal training as a luthier nor as a designer - nor as a musician. However... I'm in it deep - a very driven, inquisitive, self-taught person - technically, an artist, who has developed quite wide-ranging interests and skills. Guitar design is basically an extension of my artwork. I've recently started TARAS GUITARS to produce what I plan to be outstanding, innovative, very beautiful looking and sounding instruments. TARAS is still a tiny seedling company but my future production and custom guitars will be made to the very highest manufacturing specifications and build quality -- of course, by certified engineers and luthiers. My role is that of overseer, designer/prototyper, 'keeper of the vision', etc. I have many designs for future guitars and basses of all genre. If I can infuse this wee plug, as the companies prime director I'm very open to talks with anyone in the industry willing and capable of helping the project reach its full potential. We're still building the right team - so feel free to get in touch. Now then.... At the same time, I was making this... What I believe is a game changer! Something very special. As you can see, it's anything but traditional. The VP-1 can be considered a new instrument - a hybrid of several 'exotic' outward bending eastern stringed instruments fused with the electric guitar as we know it and some innovative modern ideas. I live just outside the world's Automotive capital - Windsor/Detroit area - and have been influenced and inspired during my lifetime by many changes in car design. I've done loads of work in plants where high end car body panels are made, painted and assembled. This, of course, all relates to my designs. I'm quite obsessed with guitar technique - and with the different playing techniques of the world's many stringed instruments. Why does a flamenco player use their fretting hand one way and a blues player another way? These are the kinds of questions I used to loose sleep over - ha! My guitar designs address all of the physical limitations and impediments that I had been frustrated with in the many, many straight-necked guitars that I have owned and played over the years. It's all really about string access and ergonomics - and intuition - following the internal music. The VP-1's main feature, of course, is the convexly-expanded fretboard/neck which adds the facility for a full range of outward string bending - like an Indian sitar or Chinese pipa. This is a new concept in the guitar world - uncharted territory! A balanced 'classical' fretting hand position is the natural companion to this new convexly expanded fretboard. This is also a modular guitar. The body "wings" are easily detachable and replaceable in different colours, etc. - so, keeping the central neck/body (unibody), the wings can be quickly changed from, say, black to green, etc. 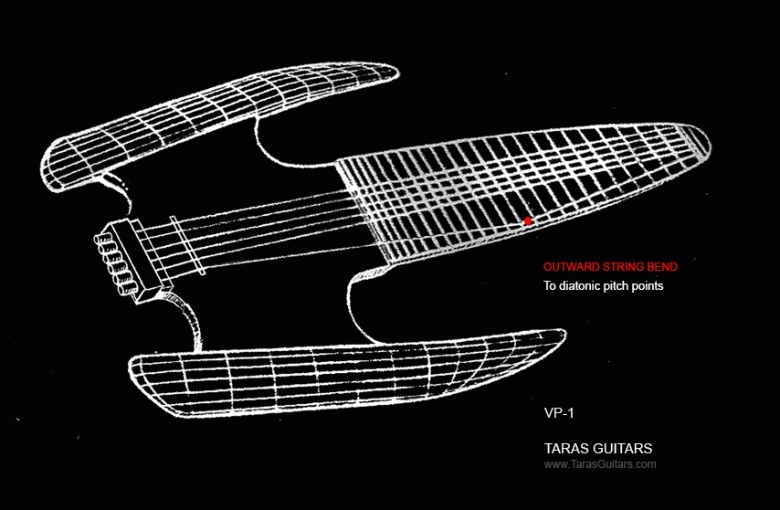 The VP-1 was conceived and designed from the perspective of the strings first, and their natural ability to move. The strings were not 'added' to the guitar. 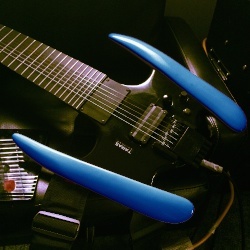 This guitar was built 'around' them, fully considering their possible sonic capabilities as a parallel, flexible grouping. It all sort of frosted out from there. TK : Since my guitars are very forward-thinking or "futuristic", I'd have to say that planning and design are of the highest importance to me. My goal in manufacturing is also to maintain extremely high standards. My guitars will be made using both CNC machining and/or a precision moulding processes, using only ecologically responsible composite materials - such as hemp and other organic fibres, etc. GH: Tell us about your favourite of the guitars you've made? TK : The process of making the current VP-1 prototype was quite an epic challenge - as it actually started its life as a strat-style guitar - with bolt-on neck, single coil pickups, etc.! It was a completely different instrument. Using whatever means were available, it was slowly "morphed" into a VP-1 in a very guy-working-in-his-garage kind of way. I wouldn't recommend trying it yourself. It would be like starting with a Les Paul and turning it into a Telecaster - with no formal training.... Just following a vision... Knowing that the end result was well and truly worthwhile! GH: Are all your guitars custom made for clients who approach you with a clear idea of what they want? TK : At the moment I am planning my first luthier-built pre-order scenario through the TARAS GUITARS website. From all indications, the first short run of serial numbered VP-1 guitars will have definite long-term collector value. I will be outsourcing the manufacturing to the right maker. My goal is to first spread the word about this new way of playing guitar, and then, of course, introduce a high-quality production guitar - followed by premier level custom models made to order. This will all come in time as the company grows. First people need time to understand and explore this really cool new guitar. GH: What advice would you give to a novice contemplating their first build? TK : Get your hands and brain well into it. Learn everything you can from as many sources as possible - take inspiration from OUTSIDE the guitar industry. Read lots. Especially about the potentials of HEMP... And... Stay open minded, respect the limited resources of old growth wood. Develop your own vision! 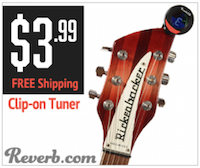 GH : What’s the key to getting the best possible tone from a guitar you’re building? TK : I think that "tone" first comes from the players' fingers and soul - good musicianship equals good tone. So, making beautiful, well crafted, stable, responsive, highly playable instruments for serious players seems the best path to producing very pleasing sound. It's a holistic thing, I think - an interdependent relationship between the the designer/builder AND the player.